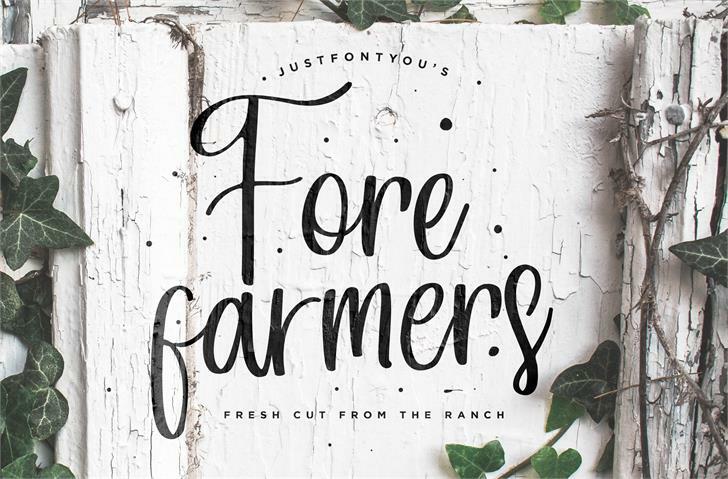 Forefarmers, A rustic farmhouse script hand lettering font. 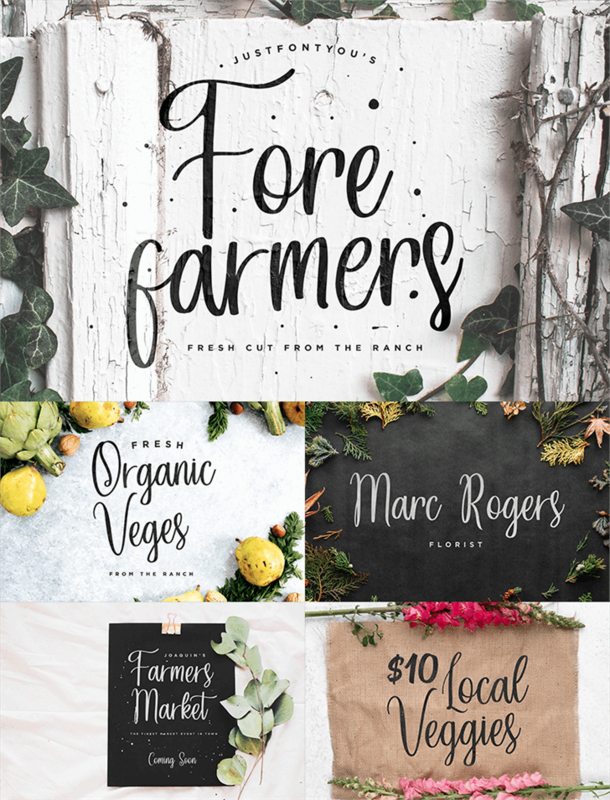 Inspired by the farmers market signs and those rustic vintage events nowadays. Perfectly fit for vintage wedding concept, logo, branding, farmers market event, flea market, casual handmade stuff, poster quotes, feminine stuff, cosmetic branding, etc. Copyright (c) 2018 by Ian Irwan Wismoyo. All rights reserved. Forefarmers DEMO Regular is a trademark of Ian Irwan Wismoyo.